Thomas Schorr-kon established his survival school Trackways in 1995 and has inspired and taught many thousands of people from all ages and backgrounds, individuals, families, schools and businesses. With 22 years of teaching experience he presents his teaching on line for the first time. These courses are about discovering the skills that make us feel at home on the Earth, they awaken a strong innate nature connection and open our lives to the adventure of the great outdoors. Thomas Schorr-kon’s survival school was the first survival school in the U. K. to offer a year course teaching the full spectrum of skills required for survival living. Trackways was also the first to offer these skills to families with the creation of the family camp in 2000. Trackways has inspired and mentored many other teachers and inspired the creation of six other survival schools to date. Thomas has trained with the renowned Medicine Tracker Tom Brown Jr. over the past 23 years, returning regularly to the Tracker school to continue his training. 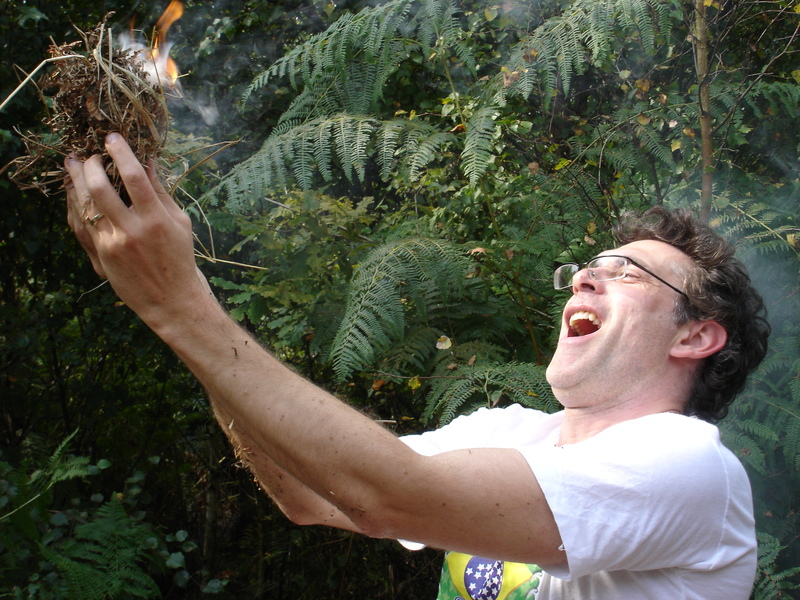 Thomas was previously involved in teaching Ancient English woodland crafts from 1992. He has also traveled widely and trained with indigenous people and other medicine teachers. Through extensive personal training and research he has developed a deep understanding for the full spectrum of skills associated with Earth living. He has also trained as a martial artist since the age of 8. “The approach that is taught is one of moving towards oneness with nature. To ultimately be able to survive with no modern tools or equipment”.